In addition to useful content, backlinks are one of the most important factors for the search engine ranking. A website with the most valuable backlinks is usually displayed on top of the search results, especially when we are talking about very competitive areas. Google itself has confirmed several times that backlinks are among the most important ranking factors next to content and user behavior (RankBrain). Since backlinks represent important recommendations of other websites, they directly affect the reputation and importance of a website for search engines. Links are an important factor in online marketing not only as a ranking criterion but also as a good traffic source for targeted visitors from other websites. 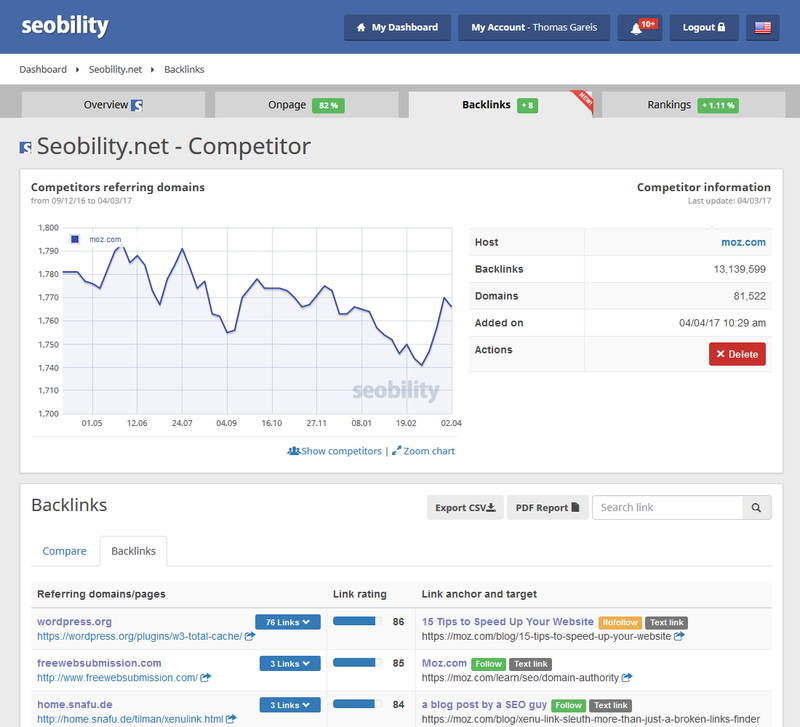 Seobility backlink analysis will help you monitor the link profile of your website and your competitors and find opportunities for new and useful backlinks. 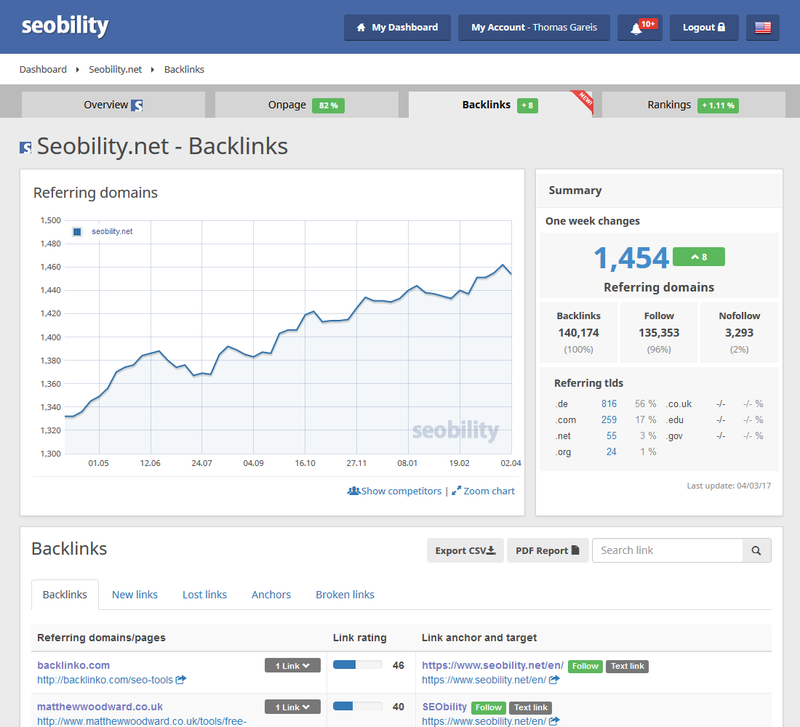 The Seobility backlink dashboard provides an overview of the current development of backlinks for your domain along with the most important information on the backlink profile. All backlinks are listed in a clearly arranged order with the indication of the link source, link target and link type, nofollow/follow, etc. Besides, each link is evaluated based on a rating algorithm, telling you how valuable the link and the link source actually are. In addition to the search option within your backlink profile, we also provide you with a breakdown of new and lost backlinks of your website on a weekly basis so that you can promptly respond to important changes. In addition to backlink analysis, Seobility link building tools allow you to generate new and useful backlinks for your website. We will support you in the backlink building process by identifying possible link sources of important keywords based on the links of your competitors and the top ranked pages. The link building opportunities are constantly being developed and expanded. 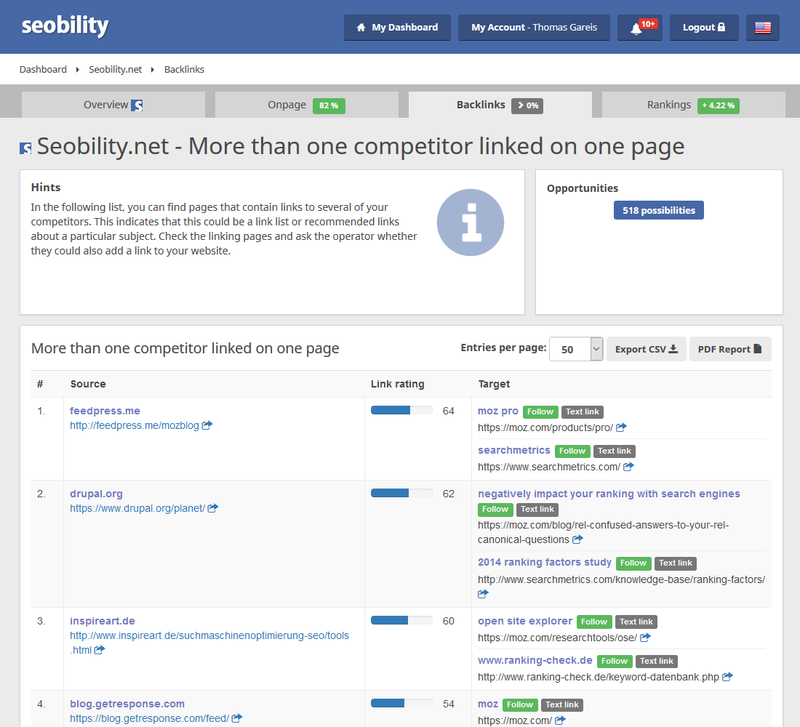 Seobility helps you analyze your competitors in order to gain insight into their link building strategies. The backlinks of your competitors give insight into their SEO and marketing activities and provide possible link sources that can be used to increase the profitably of your own website. Uncover the successful and often linked content of your competitors in order to optimize your website and online marketing. * Backlink monitoring is available only to premium members. Basic members receive a limited preview with maximum 10 backlinks.